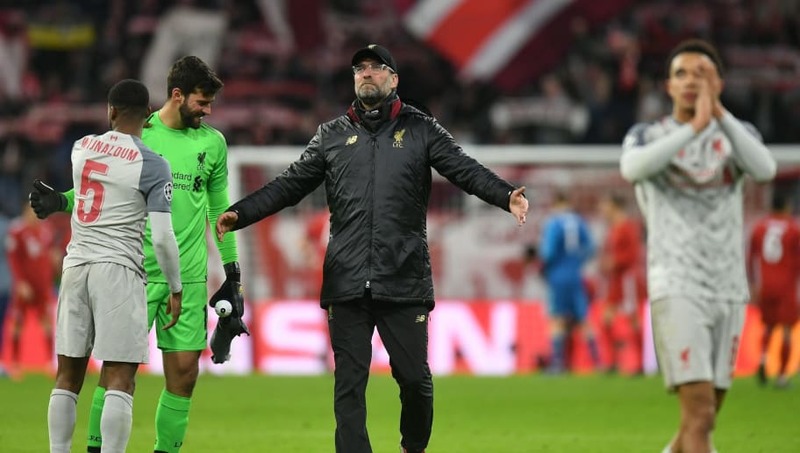 Jurgen Klopp has given an indication of Liverpool's summer transfer plans, making it clear that the club will not spend 'big money' like last year. Instead, with key players tied down and unlikely to be poached, the Reds boss wants to focus on keeping and developing the players already at his disposal, as he continues the search for silverware. That leaves, as ​Liverpool Echo journalist James Pearce puts it, only some 'fine-tuning' to be done in the transfer market. Backup goalkeeper, to be clear. Alisson Becker has been worth every penny since his move £67m from Roma, giving ​Liverpool the kind of command and stability at the back not seen since the early days of Pepe Reina. However, Simon Mignolet understandably remains determined to leave for first team football, while Loris Karius' future sadly looks to be away from Anfield. Youth prospects Caoimhin Kelleher and Kamil Grabara (both 20) appear more likely to act as third choice or be sent out on loan in 2019/20. As a result, Liverpool may seek a steady backup, who will be happy to deputise when needed, or come in for domestic cup outings, until either Grabara or Kelleher can step up to the role in a season or two. Burnley's Nick Pope would be an ideal candidate. However, whether he would trade the chance to re-establish himself as the Clarets' number one for Liverpool's bench is another thing. Ditto for Jack Butland, although the prospect of another season in the Championship might make him a more realistic target. Someone like 31-year-old Fraser Forster may be more ready for the sedentary life of the number two goalkeeper. Alberto Moreno will leave on a free transfer this summer, leaving Andy Robertson as Liverpool's only specialist left back in the first-team squad. 19-year-old local boy Adam Lewis is tipped to move up and learn under Robertson, but Liverpool will surely also look for a more experienced option in the market too. With the 2018/19 season's injury problems exposing a slight lack of depth at right back too, a player with the versatility to cover on the right and/or centre would be ideal. Although, Ki-Jana Hoever's surprisingly rapid development, and ability to play in multiple positions, means he could be tested more at senior level next season. Bristol City's 20-year-old Lloyd Kelly has been linked and seems a realistic option. Benedikt Höwedes (Lokomotiv Moscow) is a vastly experienced player who may be happy to play the 'Klavan role' for a season or two. Impressive Borussia Monchengladbach duo Nico Elvedi and Matthias Ginter can both play anywhere along the backline, while Brighton's Brazilian Bernardo looks a solid player undaunted by the rigours of the Premier League. Nabil Fekir's move last summer infamously fell apart after the player had already done his first interview for the club, while the long-awaited Naby Keita hasn't exactly shown his attacking best in his maiden season in the ​Premier League. Alex Oxlade-Chamberlain's return from injury boosts Liverpool drive, Xherdan Shaqiri has proved a useful outlet, while Keita will surely be given more time to prove his worth. However, Liverpool may consider taking another glance at the market to see if there's anyone available who could fit Klopp's midfield three, or deputise for Sadio Mane and Mohamed Salah out wide, particularly if Adam Lallana leaves. 21-year-old Welsh star Harry Wilson is an option already at the club, who many fans would like to see given a chance with the first team, after his goal of the month-hogging showings on loan this season with Frank Lampard's Derby. How much Liverpool want to spend (if they strengthen in this position at all) will determine the options available. Brighton's Pascal Groß has been linked and could be a relative bargain, who would be happy with a squad role. Bayer Leverkusen's 19-year-old starlet Kai Havertz is developing into one of Germany's top prospects, but wouldn't come cheap. Bruno Fernandes (Sporting CP) and Julian Brandt (also Leverkusen) have been tangentially linked. Whisper it, but Klopp favourite Mario Gotze (Dortmund) is in form again and has just a year left on his contract. Danny Ings will officially leave this summer, while Daniel Sturridge's contract expires and will not be renewed. Divock Origi, who has another year on his deal, has become the go to substitute in recent weeks but still seems expendable. Should the Belgian leave, 18-year-old Rhian Brewster (who is currently recovering from a serious injury) will be the only backup to Roberto Firmino, excluding the options of playing Mane or Salah through the middle. Academy prospects Bobby Duncan (17) and Paul Glatzel (18) are eagerly awaited by Liverpool fans but it will presumably take some time before they are introduced to first-team football. Another centre forward option, who can press from the front, facilitate the wide men (and chip in with goals) is a must then for Klopp. Timo Werner (RB Leipzig) is the name every Liverpool fan wants, but he is also coveted by BuLi bullies Bayern Munich, who are due a summer makeover. Aleksandar Mitrovic can score goals in the Premier League and Fulham's inevitable relegation makes any move easier. Wissam Ben Yedder (Sevilla) and Joelinton (Hoffenheim) are two strikers who might not totally break the bank while still fitting Klopp's system. For silly money Liverpool could go after Benfica wonderkid Joao Felix.